The Greenway is made up of two towers which are 30 stories high, with 383 condo units, and 36 Penthouses. 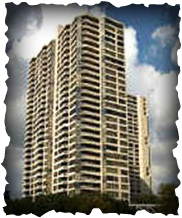 Amenities include: Concierge | Valet | Doorman | ALL visitors are announced and cleared with residents before entry | Controlled Access at all entries | Conference Rooms in both Towers | Library in Building 15 | Controlled Access Four Level Parking Garage with 2 Assigned Spaces per Residence | 2 Swimming Pools - one for each tower | Bridge Access for members to Houston City Club. Greenway Residents get a reduced rate |Service Elevator and Storage. No tipping allowed for Concierge and Valet. Optional Maid and Porter Services are also available. On-Site Management and Maintenance Offices.